Take special precautions when working with PVC glue and primers. Polyvinyl chloride produces a great deal of vapor which can cause eye irritation, headaches, dizziness and respiratory problems. 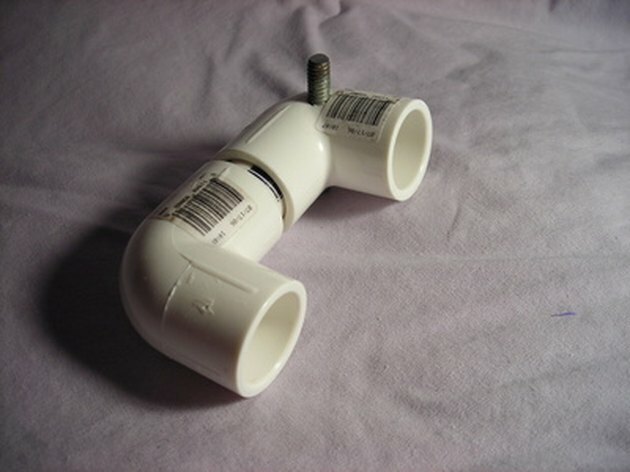 When heated, PVC products can produce HCL fumes, which are toxic to humans. Prolonged exposure may damage the nervous system and eventually lead to narcosis (a condition of insensibility or stupor). Wearing a protective mask covering both nose and mouth is recommended. If inhalation still occurs immediately retreat to fresh air. If symptoms such as headaches and dizziness persist, consult a doctor. PVC vapor is highly flammable, so there is a high risk of explosion or flash fire. PVC gas is also heavier than air, causing it to settle and remain for days if the room is not properly ventilated. PVC gas can also travel large distances, meaning one spark can cause a large fire. Using PVC products in a well ventilated room is therefore essential. PVC vapor can cause some mild eye and eyelid irritation. Accidents can cause burning, stinging, severe watering and inflamed conjunctiva. Wear eye goggles when working with PVC materials to avoid injury to the eyes. If contact occurs, rinse your eyes for five minutes with a constant stream of water and then consult a doctor as soon as possible. Skin contact may lead to a painful, itchy red rash, while prolonged, repeated exposure can lead to dermatosis (a skin condition affecting the face and neck). Gloves are an important consideration, therefore, before using PVC products. If contact occurs, immediately wash the affected area with soap and water. Ingestion can cause nausea, vomiting and diarrhea and can even lead to liver and kidney damage. The danger can be prevented by showering your hands and face after handling PVC materials. If ingestion occurs, drink two glasses of water and consult a doctor. In no circumstances try to induce vomiting, as PVC chemicals can combine with gastric juices to form a highly toxic gas.